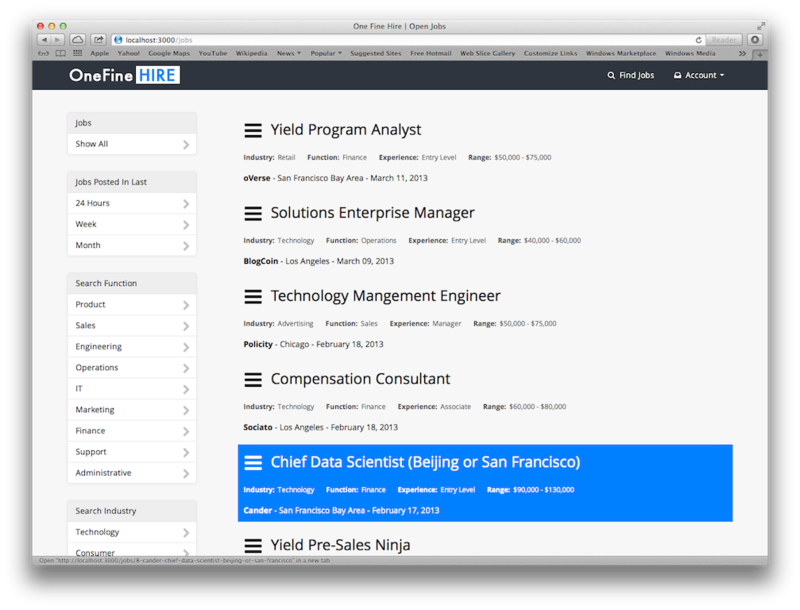 We're trying to make finding top talent easier for both hiring managers and recruiters. We believe that by creating a dynamic marketplace we can make recruiting a better experience for everyone involved. Are you an employer or a recruiter? Describe the the role you're trying to fill and the type candidates you want. Let the best recruiters in your area and industry work on your job. Recruiters will source, screen, and submit their top three candidates. You only pay us when you find and hire the perfect candidate. 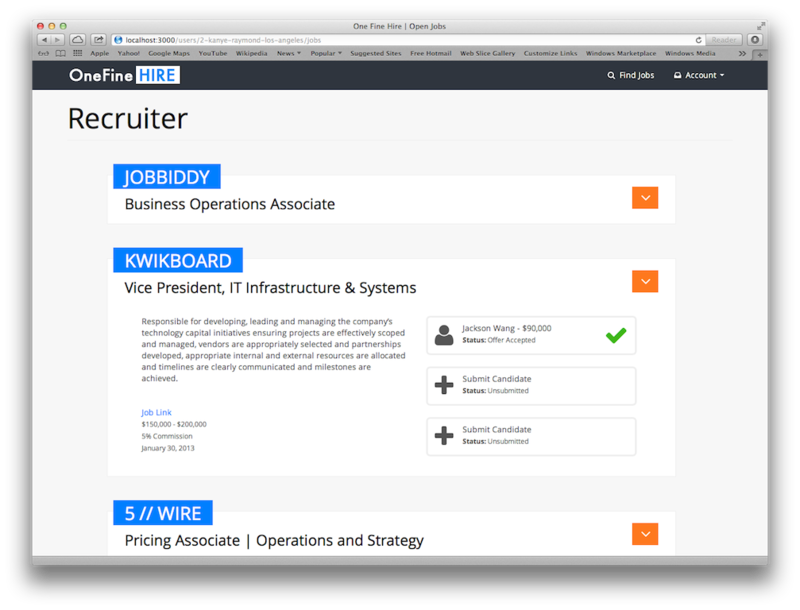 To post a new job fill out the job description, confirm your job details and click Post. It's that easy! 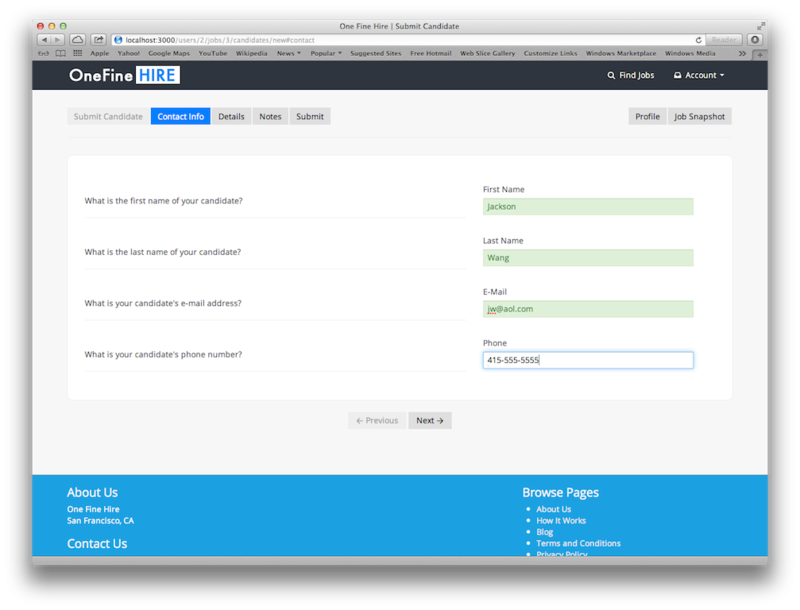 Our support team will verify and approve your job and it'll be live on the site shortly. Log in to go to your open jobs. 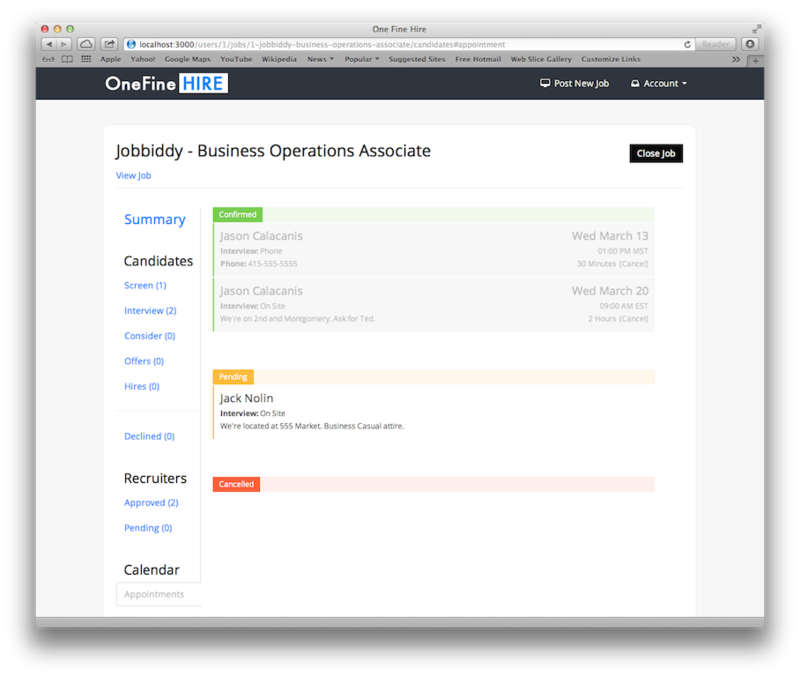 Navigate to the job, view your pending recruiters, and approve the ones you want to use. 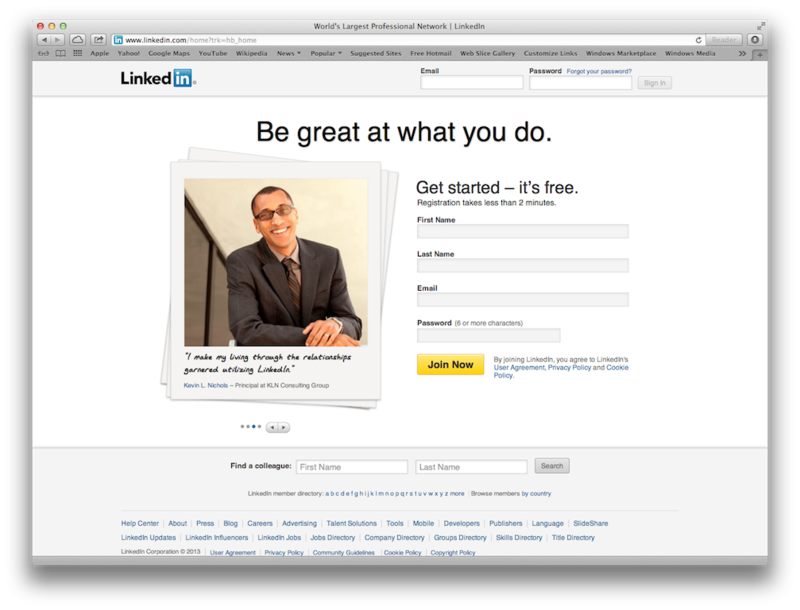 You control the recruiters you use and can engage multiple recruiters at once. Go to your job dashboard. See new candidates in the Screen tab and contact the most promising ones to schedule an initial conversation. 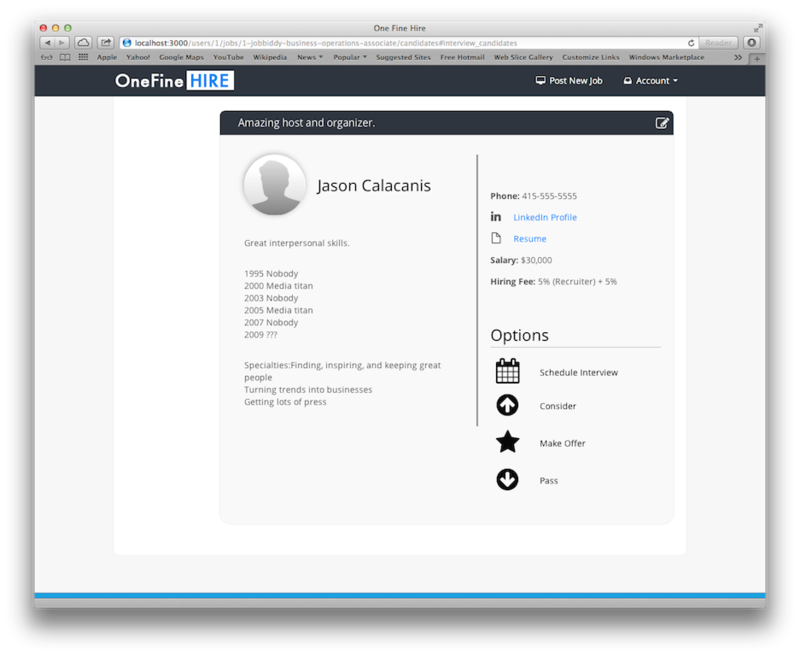 After the initial call is confirmed you can view their full profile, resume, and contact information. Move candidates through the recruiting process and schedule follow up appointments. Make offers to the best and hire happy. 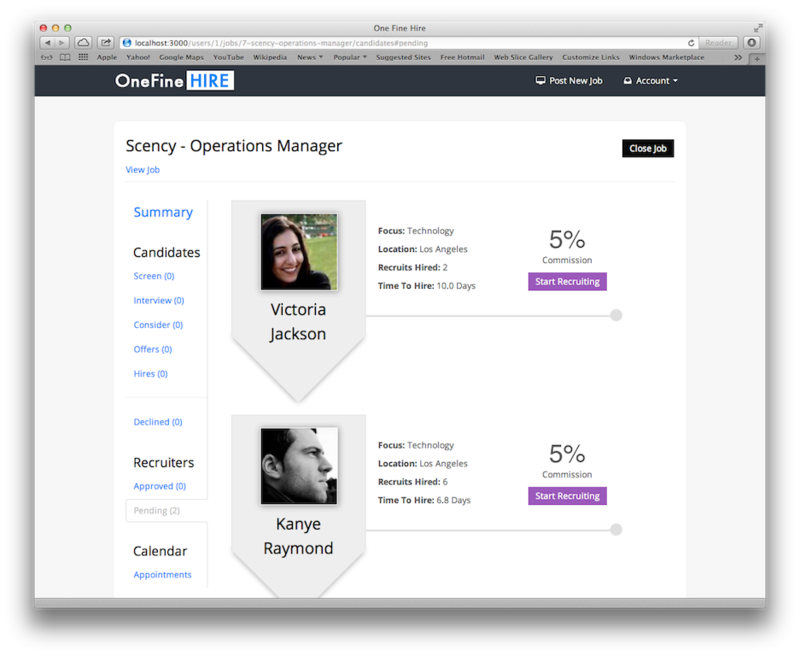 Our system makes it easy to manage your talent pipeline. It's 100% free to post your job. 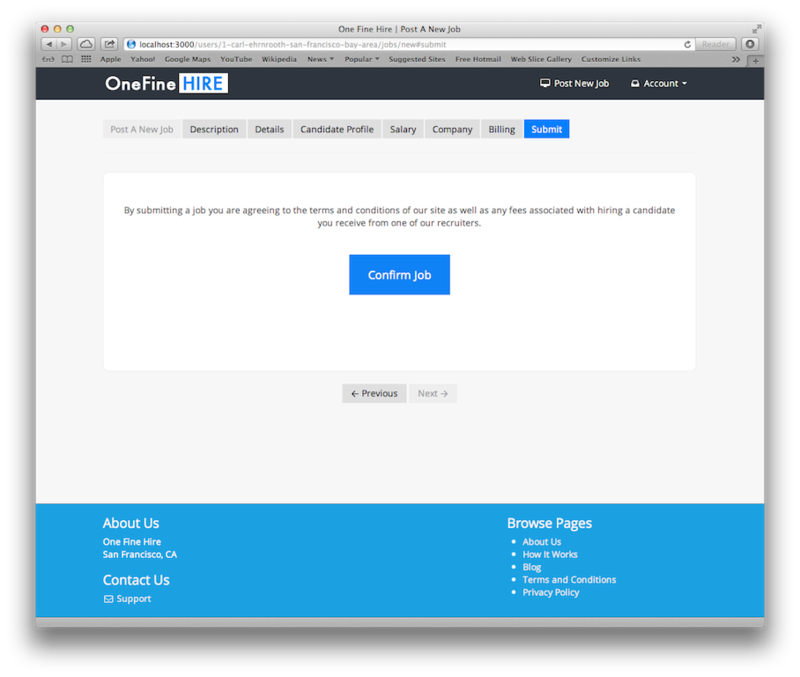 You only pay if you hire a candidate. Each recruiter set's their own rate and you control which recruiters you use. The final cost is the candidates annual salary multiplied by the recruiter's commission rate plus a 5% One Fine Hire Fee. If you hired a candidate from a recruiter with a 10% rate the final rate would be 15% (10% + 5%). Enjoy savings compared to using a traditional recruiting agency. How Is This Different Than An Agency? 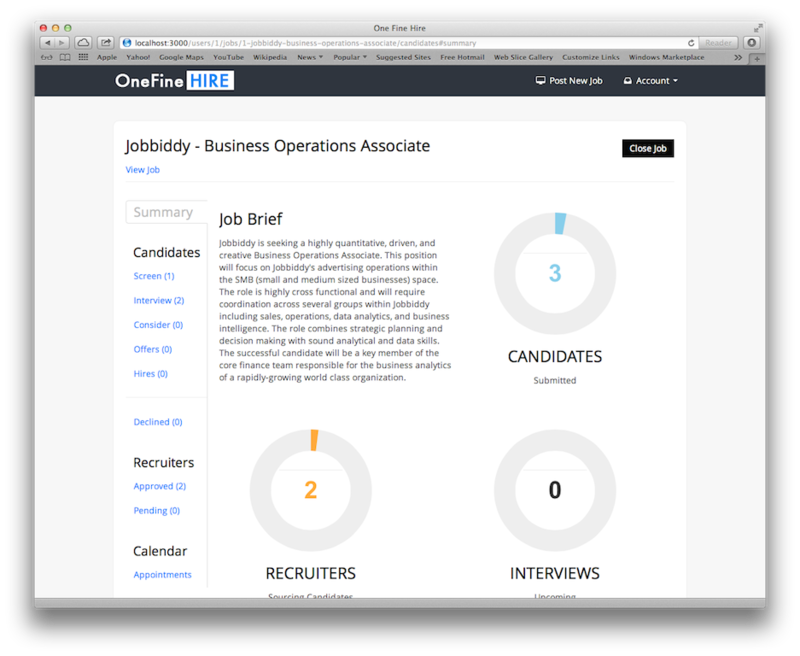 One Fine Hire acts as a transparent recruiting marketplace. You can see how effective different recruiters are at recruiting and they can price their services accordingly. 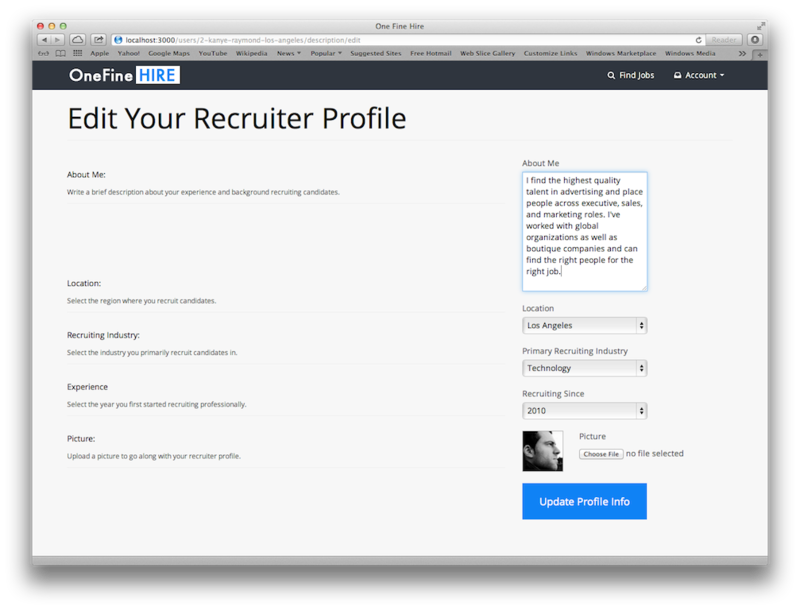 You're also able to engage multiple recruiters at the same time to hire candidates faster. To ensure you get the highest quality candidates recruiter's are limited to submitting their top three candidates. Our marketplace model means less overhead compared to traditional agencies which means savings for you. When Can I See The Resume? Recruiter's are required to describe why a candidate is a good fit for your role and company and this is visible as soon as the candidate is submitted for your job. To protect the recruiter who sourced the candidate, we only show the resume and contact information after you've expressed interest in a candidate. What Happens After I Hire A Candidate? 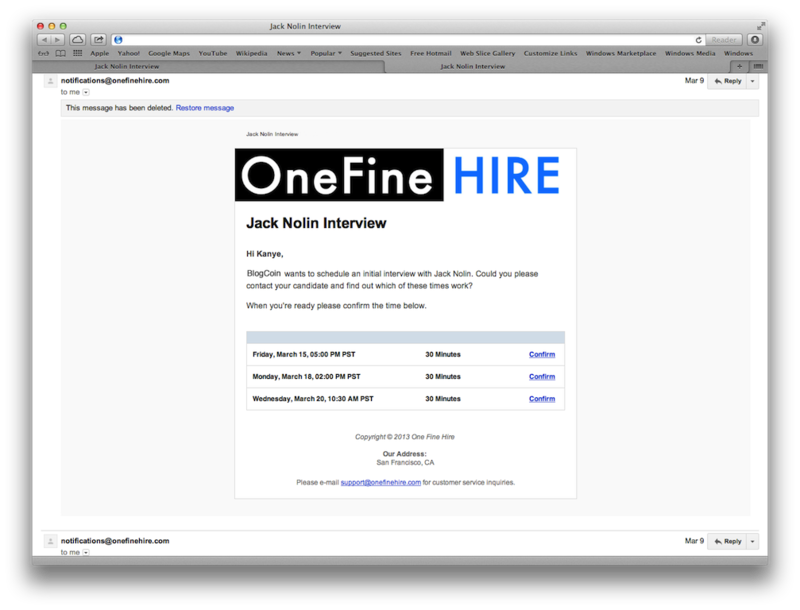 After you hire a candidate you will receive a single invoice from One Fine Hire. 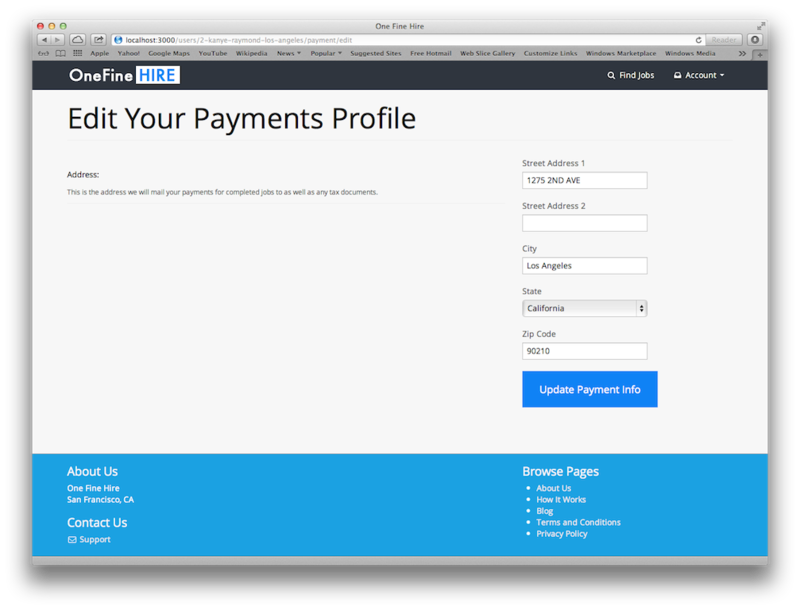 We handle all the recruiter payments to simplify the payment process. 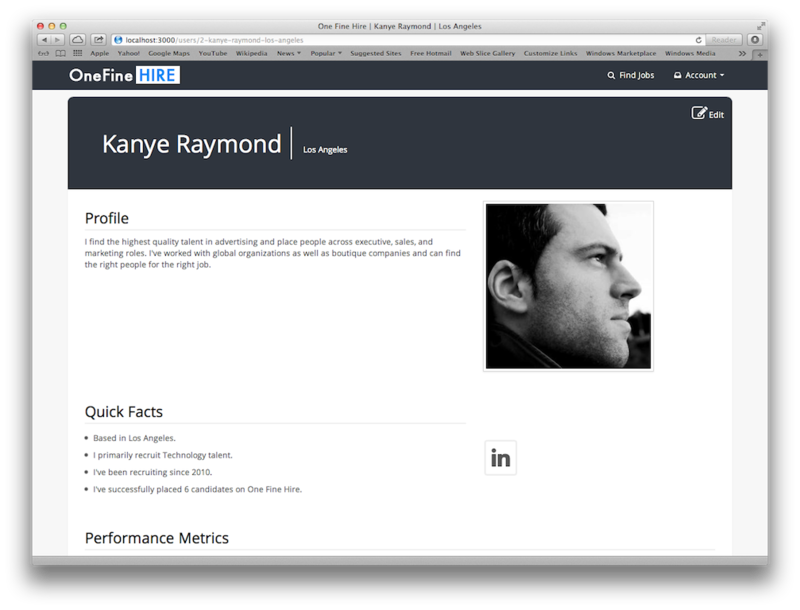 Create a brief recruiter profile with your vital information. 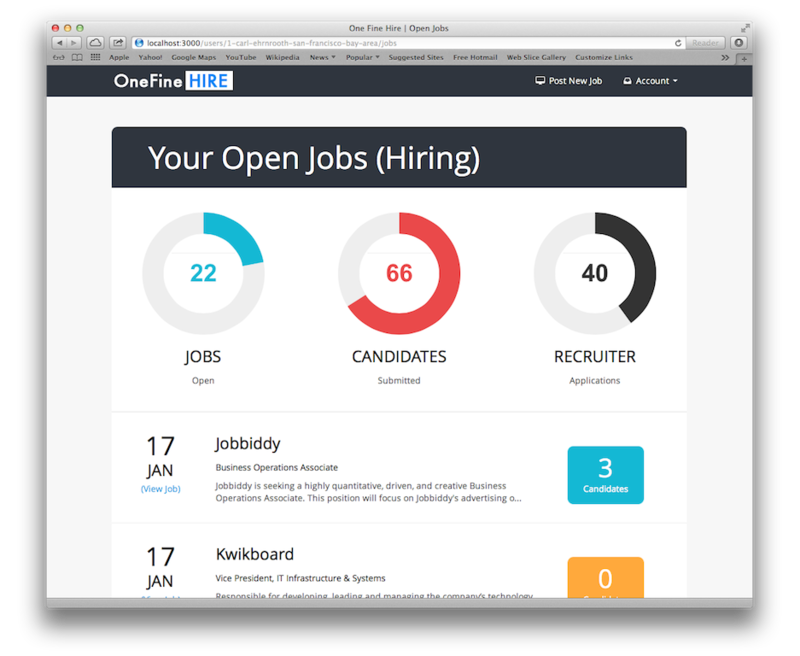 Find open jobs in your industry and area that need recruiters now. Source, screen, and submit your best candidates for the job. Set your own rates and earn when your candidates are hired. Create an account, tell us where to send your commissions, update your recruiter profile and you're ready to go! You can be up and running in less than 5 minutes! 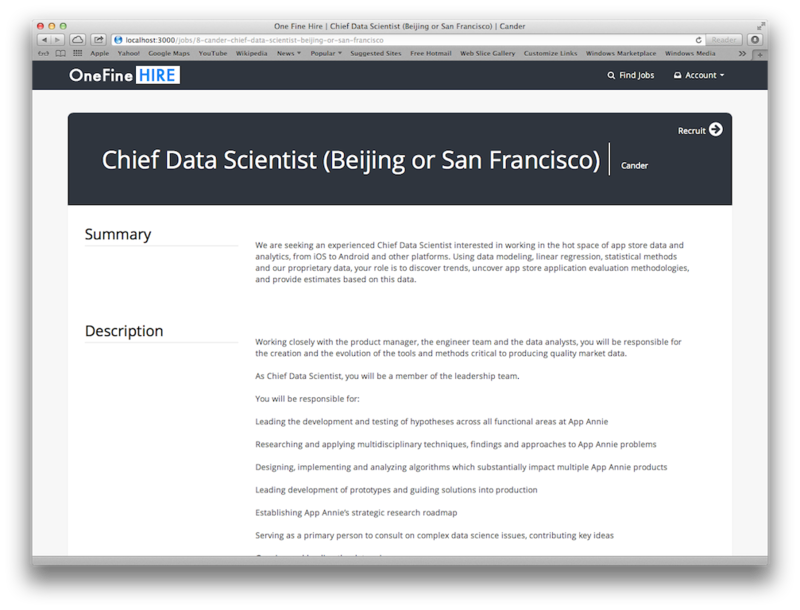 Search for open jobs that you can successfully recruit for. 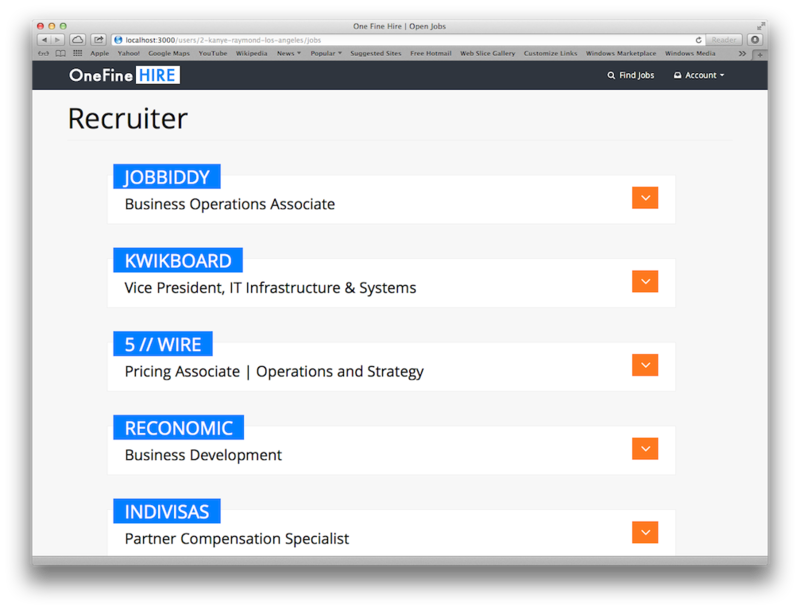 Apply to the job with one-click and set your own recruiter fee. 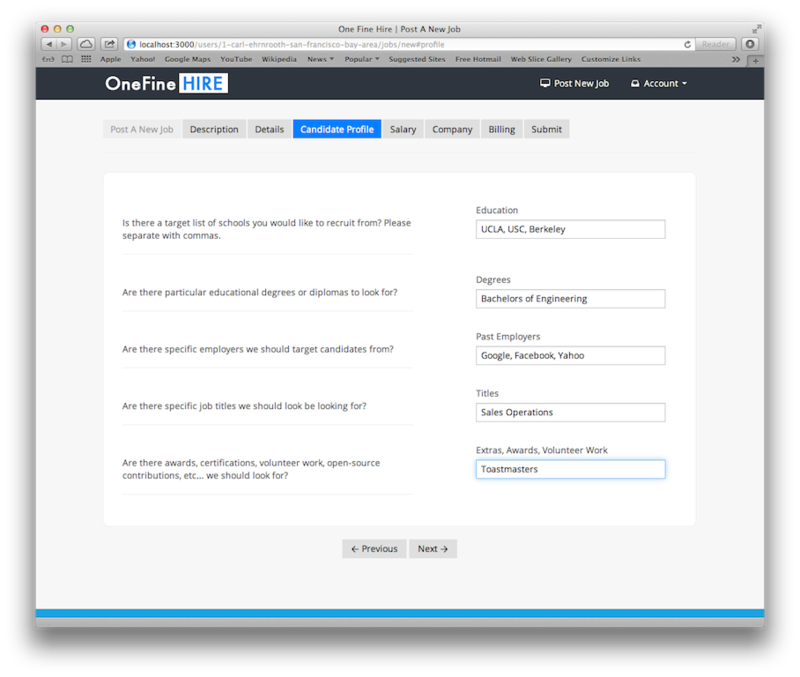 Once the hiring manager approves your application you're ready to start recruiting! 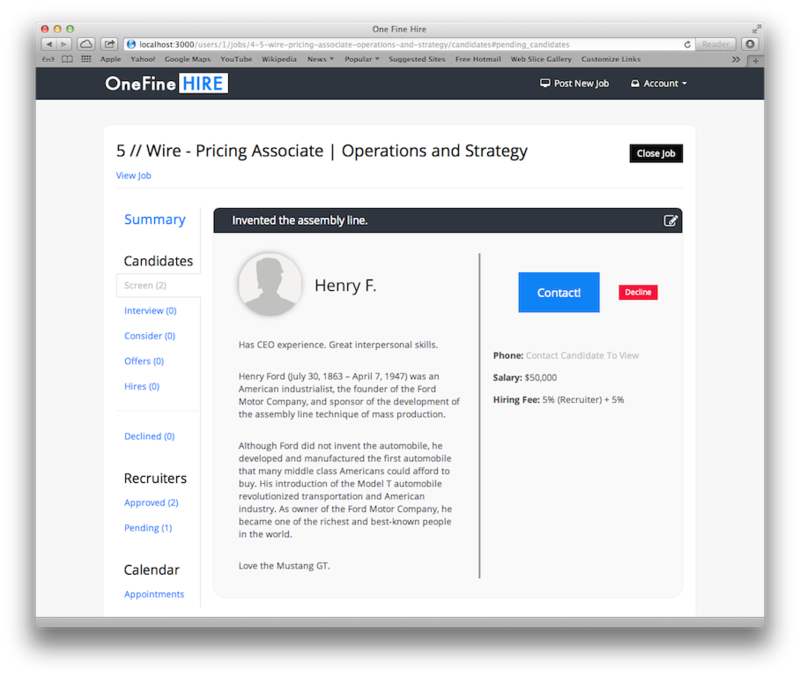 Find qualified candidates through your network and LinkedIn. Screen and interview candidates for job and company fit. When you find a great candidate submit them to your open job. Coordinate candidate interviews with the hiring manager. If your candidate gets hired you earn your commission! There's no cap on what you can earn and you can work from anywhere. Is This Free For Recruiters? Yes! There's no cost to recruiters. 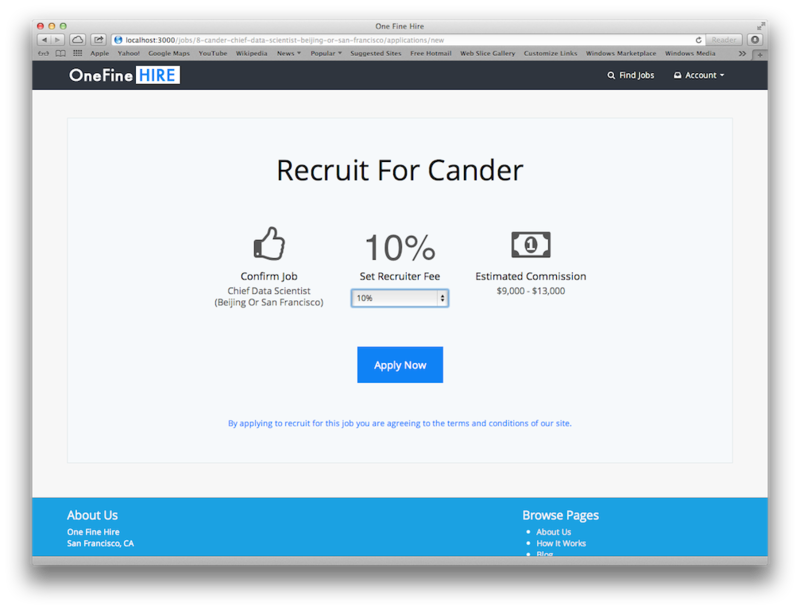 We charge employers a 5% fee on top of your recruiter rate that you set. When Will The Hiring Manager Approve Me? Typically hiring managers will approve recruiters within a couple of days and you will receive an e-mail notification when this happens. However, One Fine Hire does not control who the hiring managers approve for their jobs. Why Can I Only Submit 3 Candidates? To ensure hiring managers on the site only get the best talent, there's a limit on the number of candidates submitted per recruiter. You should focus on sourcing the best talent you can find for a role to have the best chance of making the hire. 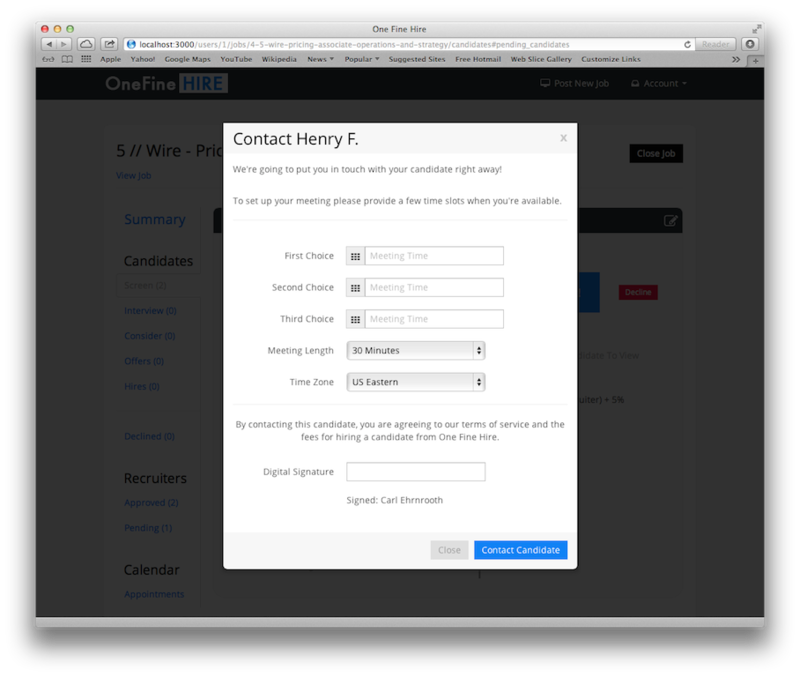 Our system also checks to make sure a candidate hasn't already been submitted for a role. As a best practice you should ask your potential candidates if they're currently working with any other recruiters. If your candidate is hired for the job, we will send an invoice to the hiring manager for payment. 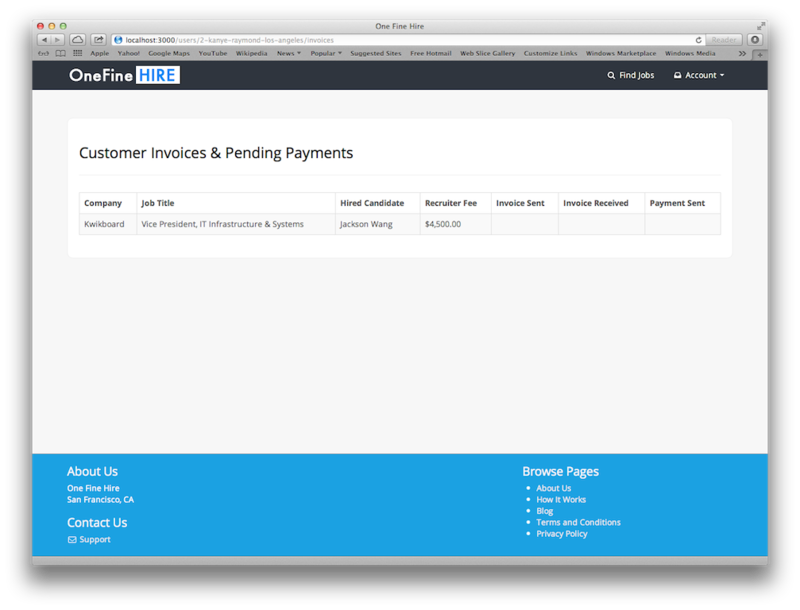 You can track the status of this payment in your invoices dashboard. 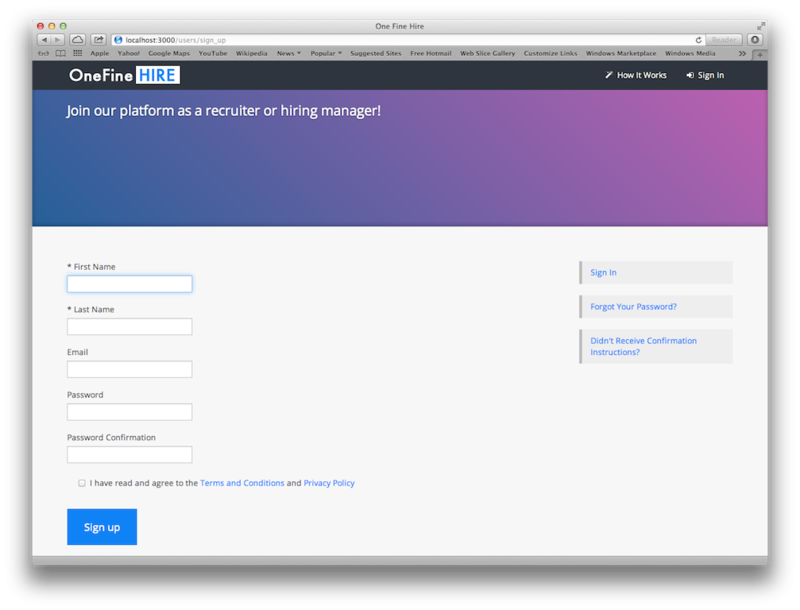 Once we receive payment from the hiring manager we will send you your recruiter commission. If this is your first hire we will ask for a W9 form for tax compliance before we send your payment.